This story hit the news earlier this year, and is worth revisiting as it is an example of an epic social media fail within snowsports. In December 2010, four senior staff at Sunshine Village were dismissed after an incident, allegedly involving the owner’s son, who was found skiing in a closed area and was escorted off the hill. 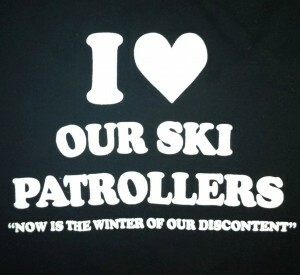 The morale of staff fell further in January 2011 when the patroller who had removed the skier was also dismissed. This final straw led to a one day strike by other staff in support. They called in sick and the mountain was unable to open fully. So not ideal for Sunshine, but how did this become a PR disaster? The morning of the strike Sunshine posted on their Facebook page that due to staff ‘illness’ a number of its lifts would be closed. The post attracted almost 100 comments, many from staff and locals claiming that the real reason for the closure was the protest against the unfair dismissals, and also including complaints from those disappointed with the paltry $20 reduction from the $70 lift ticket price. Despite this, at no point did Sunshine respond to any of these comments. Nor did they when later posting updates about which of the lifts were open. They did delete unfavourable user comments though. Then they really stirred it up with the following post five days later, effectively accusing their own Facebook fans of being dishonest. As you can imagine, this merely escalated the negative comments on the Sunshine page, as well as on Twitter, on other social networks, and, ultimately, in the press. By the end of the month, Sunshine had deleted their Facebook page…! Social media only works if you engage with your audience. If you do end up in a position where your customers are unhappy, sticking your head in the sand and hoping it will go away is no solution. If you don’t engage in dialogue, the conversation will leave you behind. Social media means that is now much easier than previously to monitor conversations about your brand. Make sure you have a plan and can react when you need to. Sunshine might not have been able to resolve this situation perfectly, but if they had made an effort to respond to some of their customers’ issues; and certainly offered a discount or refund to the customers who travelled to the mountain that day and were disappointed, then their stock would never have fallen so low. This whole case is currently going through the courts in Canada. Various websites have been approached by Sunshine’s lawyers and asked to remove any comments relating to the case. We wait in trepidation. Sunshine Village now has a new Facebook page with a healthy 3000 fans and plenty of interaction. 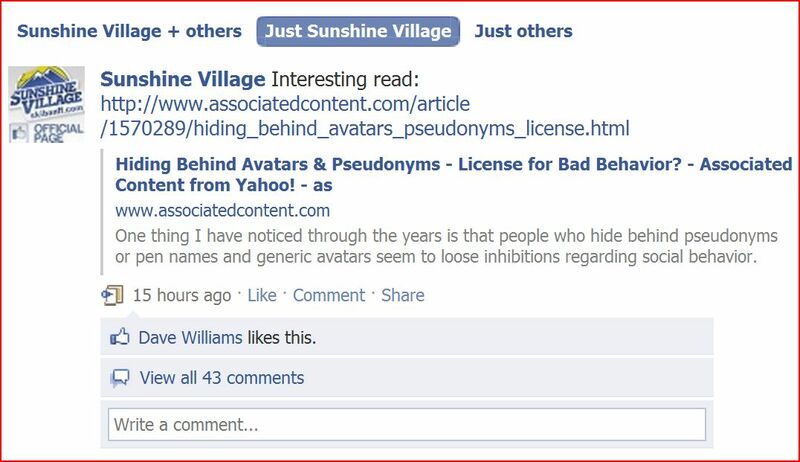 However, the ‘Support Ski Patrol wronged by Sunshine Village Ski Resort’ fan page has 8316.